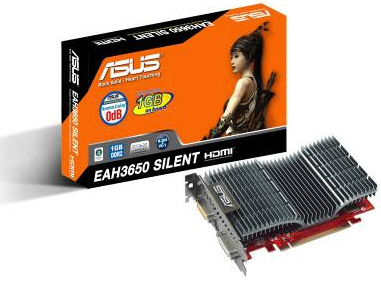 ASUS Introduces World’s First EAH3650 Model with 1GB Graphics Memory. This powerful graphics card features the latest generation of ATI GPUs; and with an unparalleled large onboard memory size, is designed to provide feature-rich DirectX 10.1 gaming and the best multimedia playback at ultra-high resolutions and maximum quality settings. Additionally, it natively supports HDMI and is equipped with a noiseless cooling solution – allowing home theater lovers to enjoy enhanced and convenient home multimedia to the fullest. Click here for more information about this promising graphic card.